Product categories of Water-proof Rugged Phone, we are specialized manufacturers from China, Waterproof Rugged Phone, Waterproof Camera Phone suppliers/factory, wholesale high-quality products of Waterproof Android Phone R & D and manufacturing, we have the perfect after-sales service and technical support. Look forward to your cooperation! Water-proof Rugged Phone has moved beyond waterproof cases to withstand rough conditions. The waterproof rugged phones are both stylish and waterproof or at least water-resistant,so can as boating walkie-talkie waterproof phone,anti-shock robust waterproof handset,13m hd camera durable waterproof phone. The Water-proof Rugged Phone's micro-SIM slots, micro-USB and headphone sockets all have little rubber-lined port covers. With 13.0Mp HD CAMERA, sony chip, support underwater photograph, can take pciture into the water. If you are diving lover, you can jump into the water and take the life under water. 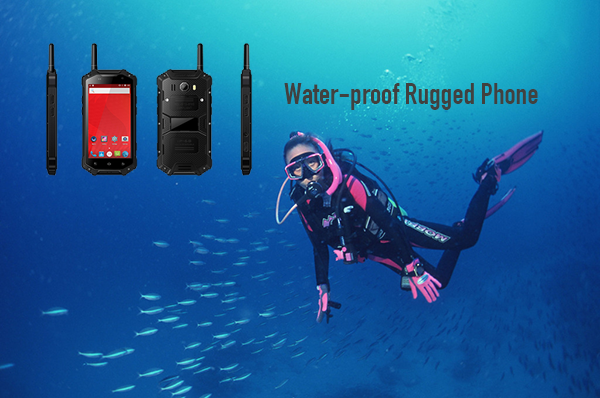 The Water-proof Rugged Phone is a good diving tough gear.